Just Listed :: Beautiful Newer Construction in East Cobb! Welcome home! 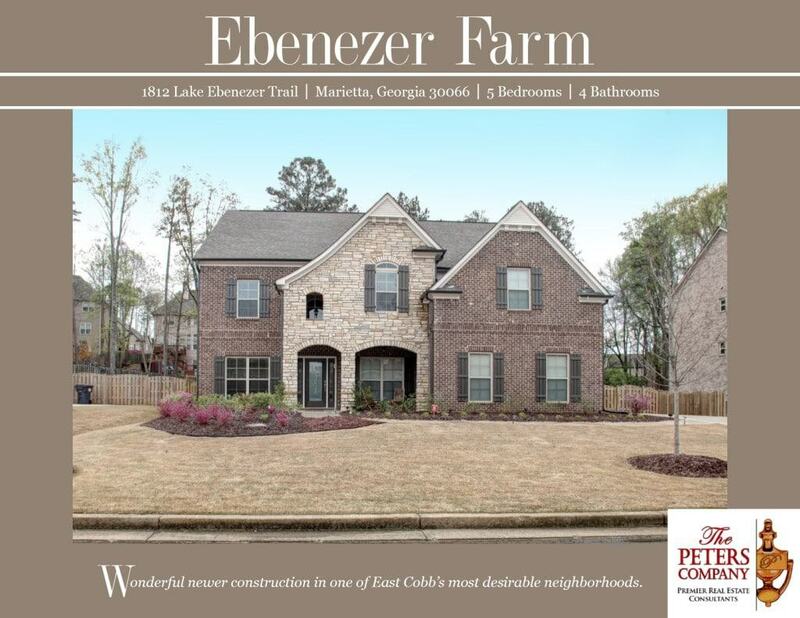 Nestled on a quiet cul-de-sac street in the wonderful Ebenezer Farm neighborhood of East Cobb, this newer construction home is just what you’ve been looking for. The open floor plan, custom features, and charming character will never go out of style. The close proximity to I-75, I-575, Roswell Road, and Highway 92 makes it convenient to and from any direction. You’ll have easy access to the other highways, byways, and activities that make this location such a well-loved destination too. You’ll also enjoy having many popular restaurants and shopping spots nearby! · Stunning kitchen features granite countertops, stainless steel appliances, walk-in pantry, oversized island, butler’s pantry, and breakfast area. · Separate dining room is perfect for entertaining guests. · Spacious family room boasts a beautiful coffered ceiling and cozy gas fireplace with stacked stone surround. · Gleaming 5” wide plank hardwood floors, tall ceilings, and gorgeous trim detail are carried throughout the main level. · Master suite is a true retreat including a double trey ceiling, oversized walk-in closet, and spa-like bathroom with dual vanities, jetted tub, and separate shower. · An upstairs bonus room is perfect for a media room and is pre-wired for audio/visual. · Spacious garage easily fits two vehicles with extra space for storage. · Large patio leads out to the flat backyard and is ideal for outdoor enjoyment and entertaining. · Wonderful community amenities include a well-maintained swimming pool with splash pad, tennis courts, and lake. · Great location that is convenient to interstates, shopping, and restaurants. ← Just Listed :: Amazing Buckhead Condo at The Park at East Paces!